Click on the above links to see the staff in each discipline or scroll through our entire staffing list below. Kristen Arnold, M.S., OTR/L, graduated from Messiah College in 2010 with a bachelor’s degree in Psychology. She minored in Children and Youth Services with a concentration in Early Childhood Education. In 2012, she completed her Master of Science in Occupational Therapy at Thomas Jefferson University in Philadelphia. Kristen joined the TherAbilities team immediately following graduation. She provides therapy in multiple school settings, as well as, in the TherAbilities’ clinical office. Her energetic, friendly personality allows her to connect with children on a level that promotes each child’s ability to reach their highest potential. Brenda Beitzel, M.S., OTR/L, graduated from James Madison University with a bachelors of Science degree in health sciences and completed her masters of Science degree in occupational therapy at Towson University. Brenda started her career with TherAbilities as a new graduate and has continued her career as a pediatric occupational therapist, both in school systems and in early intervention, as well as private clinical practice. She has worked in Philadelphia, Chicago, and Charlottesville, returning to TherAbilities in 2011. She finds the challenge of using her problem solving skills and creativity during therapy sessions very rewarding. She loves the holistic approach of occupational therapy and focuses on using children’s individual strengths to reach their potential. Sarah Elkin, MS., OTR/L, graduated from Elizabethtown College’s Occupational Therapy program with her master’s degree in 2005. Sarah has had experience working with children in a wide variety of settings including The Vista School, Franklin Square Hospital Physical Medicine and Rehab Outpatient Center, and Maryland School for the Blind. Sarah joined the Therabilities staff in 2010 and has provided therapy in both the school and clinical settings including Therabilities’ Friendship Group and Summer Therapeutic Camp. Her strengths include her ability to connect with children to form therapeutic relationships to encourage growth and help children achieve their goals through meaningful activities and play. Erin Mitrenko, M.S OTR/L, holds a Bachelors Degree in Health and Occupation and a Masters Degree in Occupational Therapy from Elizabethtown College. Erin began her career at TherAbilities in 2009 and is now re-joining the TherAbilities team after 3 years of working in Eastern PA. Erin has specialized in pediatrics for the last 5 years. She has worked in a variety of settings including school systems, early intervention, and outpatient pediatric therapy through MossRehab. Professional interests and strengths include sensory integration, self regulation, visual perception, fine motor skills and assistive technology. Chanel Moore, MOT, OTR/L, graduated from Indiana University of Pennsylvania where she obtained her bachelor’s degree in Exercise Science with a concentration in rehabilitation. In 2016, she completed her Master of Occupational Therapy degree at Chatham University in Pittsburgh. Chanel joined the TherAbilities team immediately following graduation and currently provides school and clinical OT services. Chanel’s passion is to empower children to become their best selves and to help them gain the confidence to achieve their highest potential. Andrea Merlo, B.A., OTR/L, is a 1991 graduate of Elizabethtown College with a B.A. in English (concentration in professional writing). She completed coursework and certification in Occupational Therapy in 1996 at Elizabethtown. Andrea has specialized in school based pediatric practice for 18 years. She holds a certification in Sensory Integration from WPS. Having provided occupational therapy services in rural, suburban, and urban districts, her career path has allowed her to develop an extensive background in autism, sensory processing/self regulation, social skills acquisition, pre-vocational / transition preparation, and inclusive practices. Diana Mitchell, B.S., OTR/L, graduated from Elizabethtown College in 1991 with a Bachelor’s degree in Occupational Therapy. She has worked as an Occupational Therapist in the schools for over 23 years. Her career began in Prince George’s County Public Schools in Maryland, where she worked for 14 years before moving to the west coast. There, she spent 6 years working in multiple small school systems in Washington State, while also working part time in a hospital setting. She moved back to the east coast in 2012, settling in Central Pennsylvania, providing Occupational Therapy services in schools, skilled nursing, and acute rehabilitation. Diana recently joined Therabilities and is excited to have the opportunity to share her years of experience with area school districts. 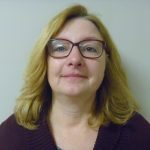 Laurie Suchy, M.A., OTR/L, graduated from Bloomsburg University in 1996 with a Bachleor’s degree in Psychology and from Chatham College in 1999 with a Master’s degree in Occupational Therapy. In 2000, she began her pediatric career at the Hershey Medical Center working in the inpatient and outpatient Rehabilitation Center and in the Feeding Clinic. In 2007 she began practicing in school systems and early intervention. She has experience evaluating and treating children with a range of diagnoses and additional training and course work in Sensory Processing, Feeding, Vision, Neurodevelopmental Treatment, and Social Thinking. She has published in the Americal Journal Of Occupational Therapy, Special Interest Section-Pediatrics and has lectured to other professionals on feeding. Sandra Thieblemont, M.S., OTR/L, received her Master of Science degree in occupational therapy from Alvernia College in 2002. 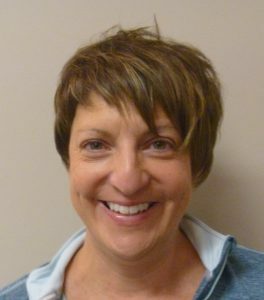 Sandra has worked in occupational therapy in various settings including an acute hospital, a skilled nursing facility, an assistive living center, and a rehabilitation hospital before beginning her career at TherAbilities in 2010. Currently, she works as a part-time occupational therapist with TherAbilities at Susquehanna School District. She enjoys working with children and values the educational team collaboration to help each child succeed in school to the best of their abilities. 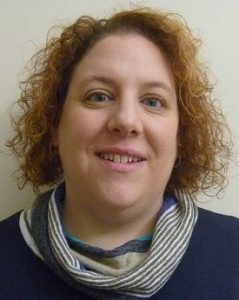 Andrea Crum, COTA/L, graduated from Penn State Mont Alto, earning her associate’s degree in occupational therapy in 2001. Her clinical experience includes skilled nursing care, early intervention, home health, and school systems. Andrea has family members with special needs who inspire her to pursue excellence in pediatric service delivery. Natalie Heebner, COTA/L graduated from Penn State Mont Alto in 2015. She has clinical experience in a variety of settings including: hand therapy, outpatient lymphedema treatment, acute care, and outpatient pediatric therapy. Natalie joined TherAbilities team in 2016 and currently works in school based settings. She enjoys the enthusiasm of children and seeing them overcome any obstacle to be the best they can in their journey of life. 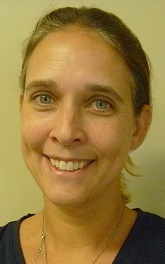 Bonnie Kleinhans, COTA/L, is a Certified Occupational Therapy Assistant providing school-based services. She has a bachelor’s degree in biology and an associate’s degree in occupational therapy from Penn State University in 2010. She joined TherAbilties staff in that same year and currently works primarily with elementary age students. Bonnie has also worked in Early Intervention and summer camp settings with children and adolescents with disabilities. Becca Lucas, COTA/L is a Certified Occupational Therapy Assistant. She graduated from Penn State Mont Alto In 2014 and joined TherAbilities in 2015. She provides occupational therapy services to children in multiple school districts. Becca enjoys using her creativity and honing her problem solving skills while helping children participate in school and meaningful activities. Kathrin Marti, COTA/L, graduated from Penn State University in 2010 with an Associates of Science Degree in Occupational Therapy. She has been working with school aged children since and has blended her background as a former teacher and her first hand experience of a mother of two children with special needs to bring a unique perspective to the students she serves. Born in England, she trained as a teacher at the University of Liverpool and was a classroom teacher for two years near Cambridge, England. She also spent three years in Berlin, Germany where she taught military dependents in the years surrounding the fall of the Berlin Wall. Kathrin currently treats children in three school districts and loves every minute of it! Elizabeth Martin, COTA/L, is a 2014 graduate of Penn State Mont Alto where she earned an Associate’s Degree of Science in Occupational Therapy. While there, she was awarded “The Academic Excellence in the Occupational Therapy Assistant Program” award. She began her occupational therapy career by doing short term travel placements in a variety of settings- psychiatric and mental health, skilled nursing, school-based, and rehabilitation. She enjoys collaborating in an interdisciplinary setting to assist children in reaching their full potential. Heidi Sowers, COTA/L, graduated with an associates degree in Occupational Therapy from Pennsylvania State University – Mont Alto in 1997. Her career began working with the geriatric population in the Carlisle area. She specialized in rehabilitating patients recovering from cerebral vascular accidents, orthopedic surgeries and traumatic brain injuries. Heidi joined our TherAbilities team in January 2009 and is committed to providing effective school based therapy for her students. Her strengths include her strong organizational and communication skills. Heidi is a member of TherAbilities’ Assistive Technology Team. Jessica Wilson, COTA/L, graduated from Penn State, Mount Alto, earning her associate’s degree in occupational therapy in 2001. She has worked in various settings including acute care, long term acute care, and skilled nursing facilities, along with public and private schools. She has mentored OT students in both pediatrics and adult settings. She began at TherAbilities in 2008 and she found her niche working with the children in the school systems. Marybeth Hummel, B.S., PT, graduated from University of Delaware, earning a Bachelor of Science and a Certificate in Physical Therapy. She enjoys a variety of areas of practice including acute care, rehab and outpatient services, settling in school based practice 10 years ago. Currently, she is interested in learning more about how physical therapy services can enhance the quality of education for students with autism, cerebral palsy, Down’s syndrome, and other developmental disabilities. Her strengths include strong communication and interpersonal skills as well as a passion for practice in the educational setting. Denisha Kline, M.S., PT, graduated from Arcadia University in Glenside, PA with a Masters in Physical Therapy. She has worked as a pediatric physical therapist for 20 years. 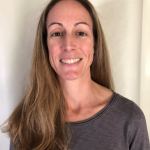 Her work experiences include a pediatric outpatient rehabilitation center as both a manager and as a staff physical therapist and home and school based settings. 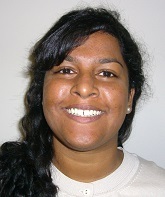 Denisha started working with TherAbilities in 2008. Her favorite thing about being a pediatric therapist is helping children and their families achieve their goals. Clarissa O’Donnell, MPT, graduated in 1998 from the Philadelphia College of Pharmacy and Science with a Bachelors Degree in Health Science and a Masters Degree in Physical Therapy. The majority of her career has been working with children and adults with developmental disabilities at Woods Services, a residential facility with associated private school and adult day programs. She has also practiced in outpatient, early intervention, aquatic, and hippo-therapy settings with children living with cerebral palsy, autistic spectrum disorders, Down syndrome, Prader-Willi syndrome, and idiopathic toe walking. She has a special interest in adaptive equipment and is passionate about helping children to become as functional and independent as possible as they grow. Joanna Cudwadie, M.S., CCC-SLP, graduated from Bloomsburg University in 2015 with a Bachelor’s degree in Audiology and Speech Language Pathology. Joanna continued her education at Bloomsburg University and earned her Master’s degree in Speech Language Pathology in 2017. Joanna’s clinical experience includes work in various school districts, as well as an outpatient clinic setting. Joanna has spent time implementing language lessons in HeadStart programs and thoroughly enjoys working with children of all ages. She is passionate about early language development in children and excited to begin her career as a TherAbilities team member. Casey Farley, M.A., CCC-SLP, graduated from the University of Louisville with a B.A. in Psychology in 2004, and earned her master’s degree in Communicative Disorders from West Chester University in 2007. Her pediatric experience includes work in outpatient, home-based, and school-based settings. She began her career with TherAbilities in 2010, providing speech/language services to children in both the outpatient clinic and school settings, as well as TherAbilities’ Friendship Group and Summer Camp programs. She has worked with children ranging in age from infant to teenager, with a variety of diagnoses. Casey is passionate about early language development and acquisition, childhood apraxia of speech, and articulation disorders. She prides herself on her ability to communicate effectively and work as a team member with children, their families, other professionals. 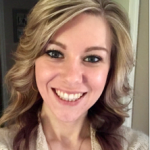 Jennifer Irvin, M.S., CCC-SLP, graduated from Clarion University in 2013 with a Bachelor’s degree in Speech Language Pathology and Audiology with a Minor in Psychology. In 2015, she completed her Master’s degree in Speech Language Pathology from Clarion University. Jennifer joined the TherAbilities team immediately following graduation. 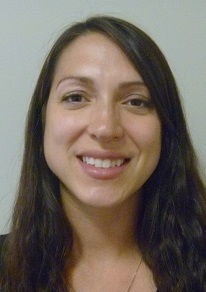 Jennifer enjoys working with children with language processing and articulation disorders. She provides therapy to multiple school districts around the area and is very excited to continue to learn in this rewarding field. Kim Moran, M.A., CCC-SLP, graduated from Kutztown University with a B.S. in Speech Language Pathology in 2002, and earned her Master of Arts in Communication Disorders from West Chester University in 2007. 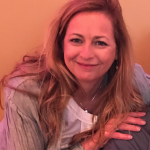 Kim has been a practicing speech therapist within the school systems since 2002 and has experience working with children ages 2 to 21 with various communication disorders. She is passionate about social skills training for children with High Functioning Autism, Asperger’s Syndrome, PDD-NOS and Nonverbal Learning Disorders as well as helping other professionals implement assistive technology and Augmentative and Alternative Communication (AAC) for students with special needs. Kim prides herself on being a very involved, responsive and creative therapist who teams well with others to help children reach their highest potential. Kim is a member of TherAbilities’ Assistive Technology Team. Malarie Wagner, M.Ed., SLP, graduated from Bloomsburg University with a B.S. in Speech and Language Pathology/Audiology in 2011, after which she began working with students in a public school system. She earned her Masters of Education degree in Speech and Language Pathology in 2014. Her pediatric experience includes home-based and school-based service delivery. She joined TherAbilities in 2017. Malerie is thrilled to be a part of the team and continue to make a difference in the lives of children with speech or language needs. 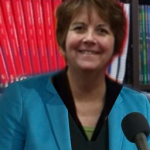 She is passionate about all areas of speech and language, most specifically articulation and language acquisition. Lauren Walter, M.Ed., SLP, earned a B.S. Degree in Psychology from Millersville in 2002 and began her career at The Vista School as behavior support staff. Her experiences there sparked an interest in supporting communication skills, and led her to pursue a Master’s Degree in Speech & Language Pathology. She has worked with individuals with autism for 15 years, in both private and public school settings as well as programs for adults. M.S., Instructional Technology, B.S., Elementary Education Specializing in Technology in Instruction, Bloomsburg University. Over 20 years in Instructional Design and Special Needs support through technology. Technical Support request form (Try to respond to in less than 24 hours).